This advocacy tool has been developed by the International Detention Coalition in the framework of the Initiative for Child Rights in the Global Compacts, which sees more than 26 agencies working together with expertise in promoting child rights worldwide. 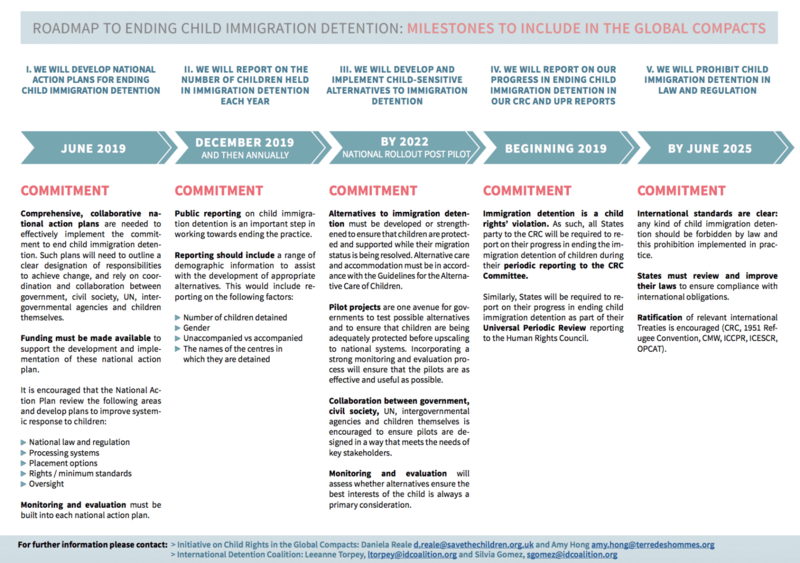 The Roadmap outlines the proposed milestones for states to end child immigration detention, based on the recommendations that members of the initiative collectively developed, outlining practical milestones for States to enact during the compacts. The Roadmap also includes examples of positive practice for each milestone, and suggests a timeline. The IDC encourages advocates to use the Roadmap to support States to meet their international obligation to work towards ending child immigration detention. 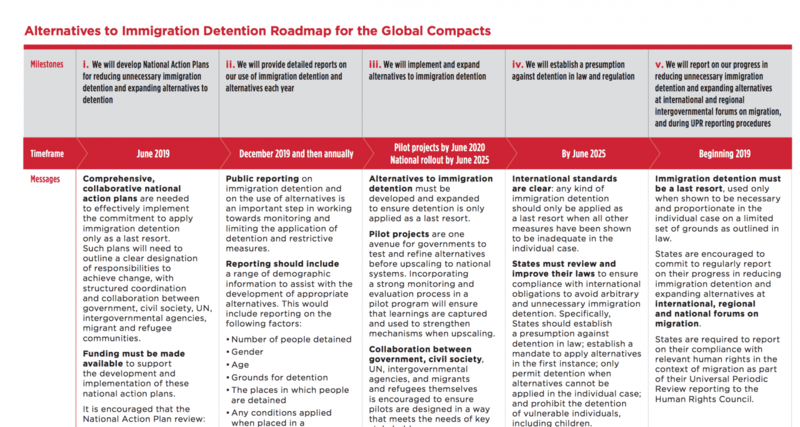 The alternatives to detention roadmap outlines the proposed milestones for states to develop alternatives to detention outlining practical milestones for States to enact during the compacts.